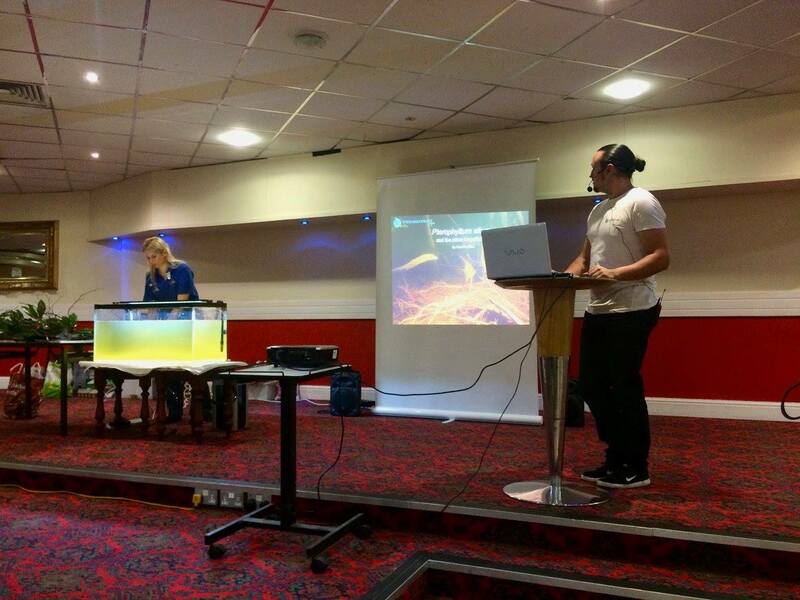 This past weekend I had the distinct privilege to be invited to speak at the British Cichlid Association summer convention at the Brittania Hotel in Wigan. 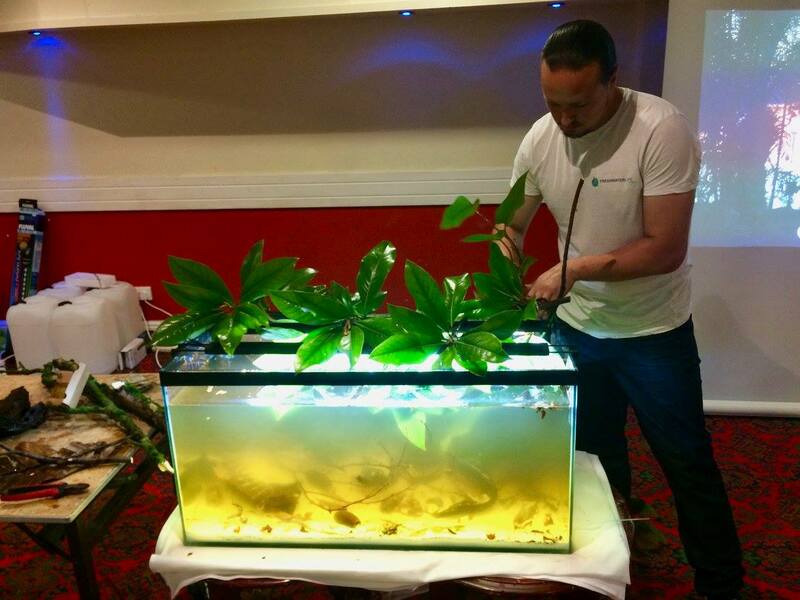 I was also asked to do one of my biotope aquarium workshops which teach fish keepers how to recreate a natural aquatic habitat in their aquarium using only biotope-correct species and decor. 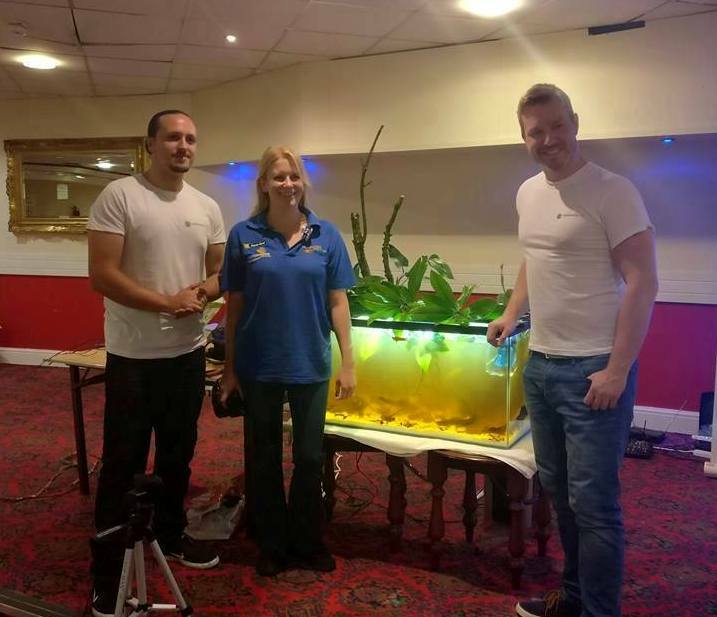 The event had a humble attendance including some of the most reputable fish keepers in the country, some of whom it was an honour to have listen to my thoughts and experiences. My talk was entitled “Pterophyllum altum and the other angelfishes” and during the hour I shared my personal encounterings with P. altum in the wild along the Atabapo River, various aspects of its natural habitat, correct identification and other fish species which form it’s typical biocoenosis there; I spoke additionally about the genus Pterophyllum as a whole, looking at the history, taxonomy, distribution and natural anomalies including the possibility of various new species. 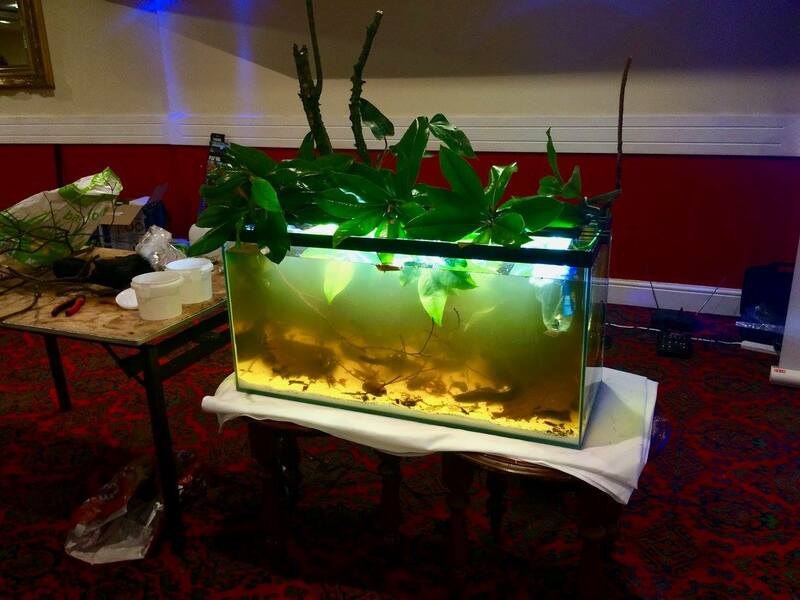 After the talk I wasted no time in getting straight to work preparing the biotope aquarium which was sponsored in its entirety by Maidenhead Aquatics (Wigan) and once the attendees returned from a quick break they were all able to watch as I walked them through incremental steps to building a biotope for species of the Rio Atabapo; my colleague from the Freshwater Life Project, Tai Strietman also lent a trusted hand – his considerable experience of the Pantanal Wetlands assured me that his help would be authentic and his attention to detail was fantastic. This aquarium included the Bleher’s rummynose tetra (Hemigrammus bleheri), the spotted splash tetra (Copella meinkeni), Apistogramma piaroa, and the Orinoco eartheater (Biotodoma wavrini). The decor was varied and included fine white silica sand, very large Bertholletia leaves, Magnolia leaves as a substitute for Acara-açu and Ceiba pods collected by myself in the Venezuelan rainforest; other items included some locally collected oak branches with epiphytic moss to imitate the rainforest atmosphere and serve as a base for the terrestrial epiphytic vine philodendron erubescens, the roots of which were washed of all soil and allowed to hang into the aquarium. The tank water comprised 100% RO water with the addition of blackwater extract to simulate the extremely rich tannin stained waters of the Atabapo and recreate the very low conductivity of the river which typically ranges between only 12-21 microsiemens. The final product replicates the riparian zone at high water along the Atabapo, a place where the aforementioned species would seek refuge from predators whilst equally exploiting the habitat for the availability of terrestrial insect and fruits which would fall from the partially submerged trees. 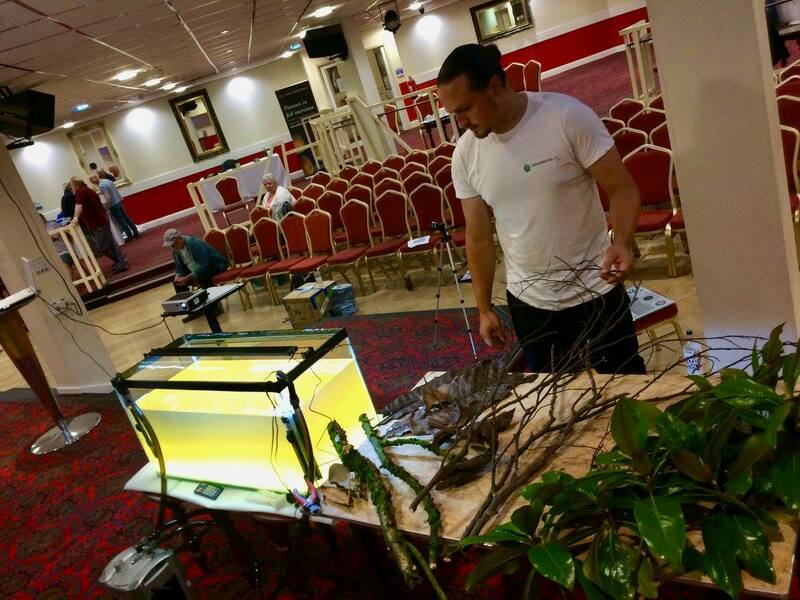 I’d like to extend my thanks to Maidenhead Aquatics for their support of this event, particularly the biotope workshop.